Welcome To Koors Heating & Air Conditioning for Service and Install of Heating, AC, and More! Welcome to Koors Heating and Air Conditioning! We sell American Standard products and provide high quality service for many other brands. Koors is also here to help you with Geothermal, Air Purification and Fireplaces. Browse below to find out more or contact us to setup a consultation. We offer the area's most exceptional furnaces, geothermal systems and heat pumps all for honest and affordable rates. But we don't stop there. Our services are also designed to help you save tons of money in energy expenses. Just call us today to learn more. Our team has the experience needed to finish any heating job quickly and professionally, all for the area's most unbeatable rates. There's nothing you can't accomplish with our team by your side. Let us help you lower your monthly energy bills by contacting our team today. No matter what type of heating system you currently use, our team will be able to identify any and all inefficiencies to prevent future energy waste. That means smaller energy bills each and every month. When you're ready to save big check out our outstanding air conditioning and geothermal systems! 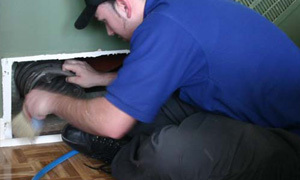 Our professional team has the experience needed to install, repair or service the very best names in air conditioners. Whether you're a home-owner or a business-owner, our knowledgeable services will help you save money in monthly energy costs. When you're ready to learn more about how we can help you save money, request a quote or just call our team. 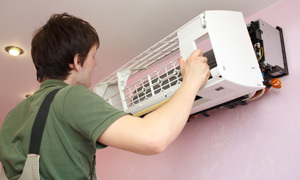 We use only the latest industry technology and techniques to provide the area's very best air conditioning services. We can't wait to work with you! No matter how expensive or professional your current air conditioning unit may be, inefficient practices or poorly sealed windows and doors may be costing you thousands in wasted energy costs. Get the help you need today when you get in touch with us. Geothermal heating systems actually use the heat generated beneath the Earth's crust to heat your home. This method is extremely cost-effective and can help you save thousands in future energy bills. To learn more about geothermal heating systems just give us a call. 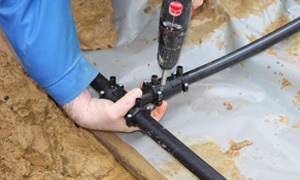 Our team has the experience needed to properly install, maintain and repair all types of geothermal systems, including the one that's perfect for you! We strive to understand your specific needs before providing the most cost-effective and reliable heating solutions. Choosing the right heating or cooling system for your home or office can seem like a daunting task. That's why we're here to help! Our knowledgeable professionals will help you select the perfect heating and cooling solutions for your specific needs, saving you time, money and headache. If you or a loved one suffers from asthma or any other type of respiratory distress, you need to ensure that the air you breath is pure and free of harmful contaminants. That's where our professional team comes in. We can install health-promoting air purification systems in your home today. They say that you can't put a price on peace of mind, but our goal is to make sure that you never overpay for it either. That's why we offer the area's most affordable air purification system rates. Learn more about how we can help your family breathe a little easier by calling us today. We're always here to answer all of your questions about air purification and indoor air quality. Just give us a call today to learn more about our extensive list of air quality products. We'll help you select the perfect system for your needs and your budget. Our fireplaces not only look amazing, but they can increase the value of your home, and even help you save money on monthly energy costs. 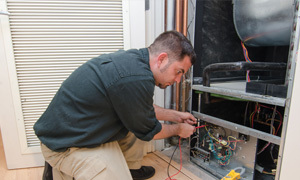 Our team has the experience needed to install, maintain and repair almost any type of fireplace. 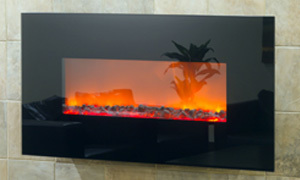 When you're ready to add the elegance and functionality of a fireplace to your home, just give us a call. We're always here to answer all of your questions and provide you with the most cost-effective services the area has to offer. We understand that when it comes to your home or business, you're picky about those you work with. That's why we proudly offer FREE estimates to all of our clients. We want you to know exactly what you're getting before we start working. 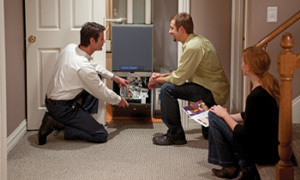 There's no heating or cooling project you won't be able to complete with the help of our team. We offer the fast and reliable services you need for rates that won't break the bank. Our team has the experience needed to finish your job right the first time. We're totally dedicated to your complete satisfaction, and we're never finished the job until you say we are. We'll work hard to understand your specific needs before offering the most comprehensive and experience-driven solutions possible. We've made getting a quote easier than ever with our new service and quote request form. Just fill out a simple form to schedule heating or cooling services or to receive a comprehensive quote today. You can also call our team for the personal, friendly and experienced help you need. © 2017 Koors Heating & Air Conditioning - The content on this website is owned by us and our licensors. Do not copy any content (including images) without our consent.